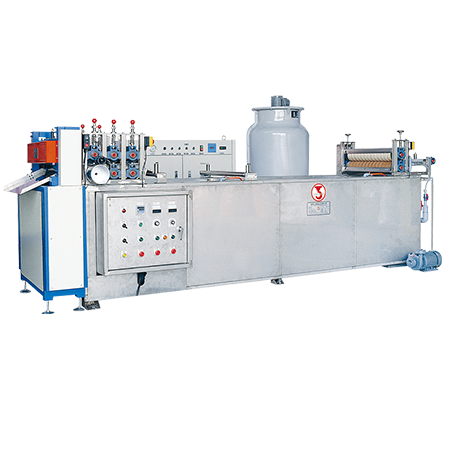 The machine can offer fast cooling of the rubber sheet to the desired temperature. 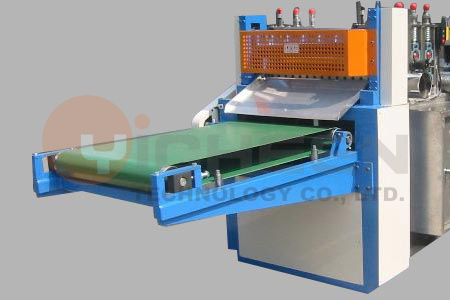 This process ca prevent non-vulcanized rubber sheets from sticking together during stacking, reducing the possibility of deterioration. Eliminating contamination of powder dust, and improving the quality of the environment. The machine adopt DC motor or inverter controlled AC motor, providing variable speed adjustment with maximum speed up to 25M/min. Operating method adopt button and rotator switch for controlling speed.